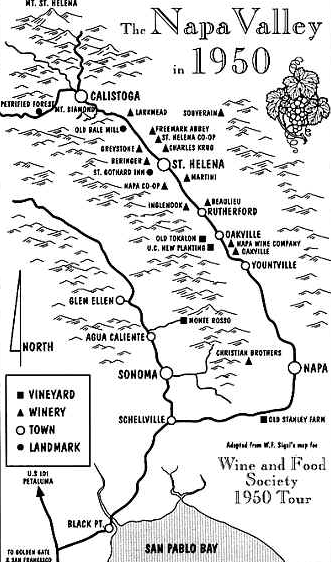 Towns from north to south- Calistoga, St. Helena, Rutherford, Oakville, Yountville, Napa. Pretty cool map from ’55. I lived in Oakville, California for a few years after college and before real life (or whatever this is called). 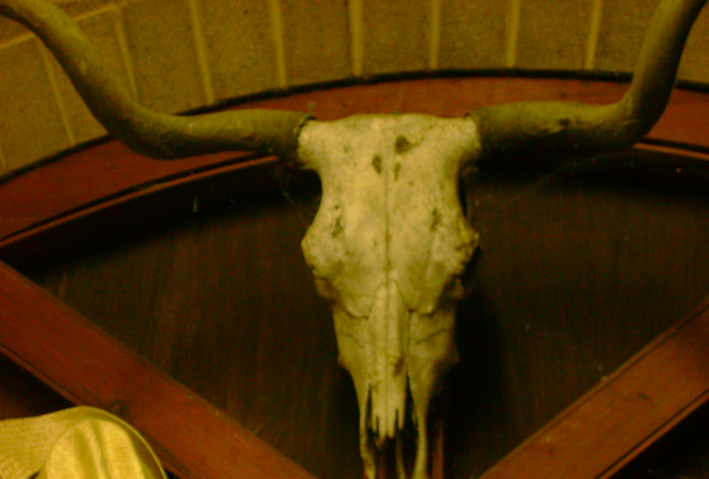 The family of my boyfriend-at-the-time had a big ‘ole ranch off of Oakville Crossroad at the end of Money Road. We were surrounded by a natural abundance I hadn’t experienced until then- pear trees, walnut trees, apricot trees, French plum trees, rows of apple trees, a lone black mission fig tree that produced the most luscious fruit, and live oaks all around. I had to pinch myself to believe it was real. Beets, swiss chard, carrots, currants, and artichoke bushesthat would flower into bright purple puffs thrived with little effort from anyone but the sun, the soil, and whoever tossed their seeds into the ground. There were pet goats who ate leftovers (and anything else they could find) and nights filled with yipping coyotes. I’d meet the coyotes in person on early morning runs- mornings covered a mystical sort of fog rolling in from the San Francisco Bay. Vineyard view from the ranch. I left Upstate New York for reasons that made sense at the time- romance, adventure, and why not- barely taking the whole wine country thing into consideration when packing my bags. Even while there and working at a winery/ restaurant, I was more taken with the hospitality, agricultural community, and small-towniness of the place than the viticulture. It wasn’t until the last few months that the wine bug was born. Some things need time. I picked up a few wine tricks out there, but mostly learned other stuff- like how to take care of people, how the land is the beginning and the end, and countless cooking inspirations (most of which I have yet to put to use). I learned that the community of the valley is small. The people of the wine and hospitality trade have a thriving circuit all their own that involves delicious free wine, a friendly name-dropping, and a whole bunch of parties. Many Napa natives (Napkins) never leave or eventually return. Cowboy boots, country music, car racing, blown glass, locally grown food, and residents who have known one another for all of their lives are at the core of the culture. I liked being a newbie in this sort of insular circle. 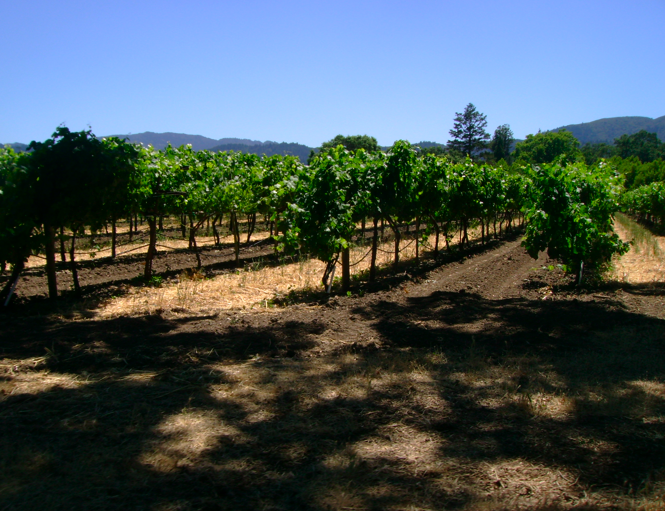 I learned that workers from South America are the heart, soul, backbone, and pocketbook of Napa Valley. They coerce beautiful grapes into bloom and are the reason anybody makes a dime. These are the same people who have to hide and fight their way to the possibility of citizenship in a country whose economy they contribute toward everyday with extremely hard and skilled work. When I think of the vineyard workers, I think of lines of Hondas and Toyotas parked alongside a paths near one vineyard row or another, doors and windows open with Latino radio tunes playing the soundtrack to a dry and hot and sunny day’s lunch hour. My perception was that they always seemed to take joy and pride in a task that no one else wanted to do. What I really mean to write about here are a handful of the little places that many don’t hear about when visiting Napa, a place that has sprouted in the past two decades. It is such a destination. A destination that is, in some ways, like the lack of public transportation, not prepared to be quite so big. There are fancy hotels, and fancy-looking wineries, and some fancy schmancy restaurants, too. Which is great. But I think a number of them are are not conveying the point. I encourage everyone who travels there to see past the touristy stuff and get to the bottom of that long and beautiful down-home valley. La Luna Market is not trying to be anything but what it is- the realest Mexican food in the valley. Burritos, tacos, house-made chips, and other fare. La Luna cooks with lard and this is where the locals go- enough said? 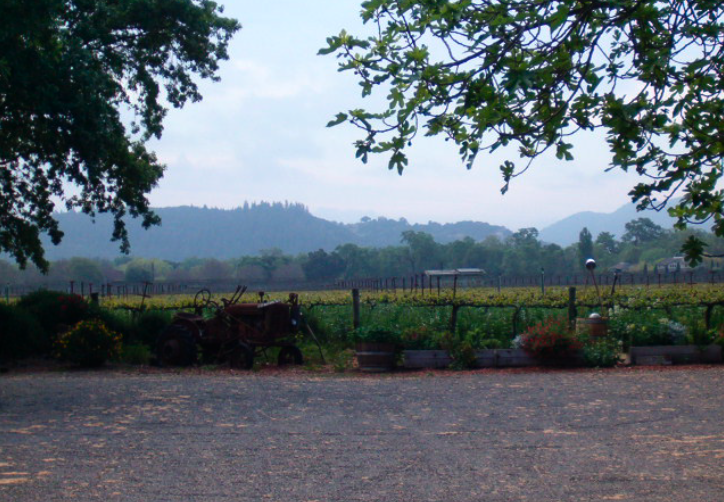 Pick up some deliciousness and picnic on a hike or a bike ride through the vineyards. Prager Winery & Port Works was always one of my favorite places to bring friends. The tasting room is relatively small and every inch of it is covered in paper currency from around the world. The Prager brothers, who own the joint, are usually in the room to chat with guests, introduce them to their “website” (a window completely covered with spiderwebs), and taste them on their California “port”. Of course port is only from Portugal- but their version is a playful resemblance of the traditional style. Way up toward the northern point of the valley, in Calistoga, is Vincent Arroyo Winery (complete with a few welcoming dogs). Arroyo has been farming his land since ’74. Not only are these wines well-made and pleasant to drink (especially his petite sirah), but they are not so easy to come by. Arroyo does not distribute (though you can purchase through the website) and the experience of a visit is authentic. Cindy Pawlcyn’s Cindy’s Backstreet Kitchen is a St. Helena gem. Pawlcyn has a few other spots like the (deservedly) popular Mustard Grill, but this location has a certain something about it that makes it feel like it belongs exactly where it is, and so do you. 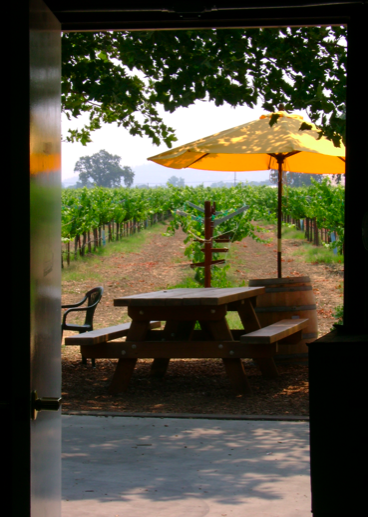 Nickel & Nickel Winery is certainly not unheard of, but I had one of my very best tasting experiences there. In a region where winemaking techniques threaten (or more than threaten, actually do) yield one wine no different from another, Nickel & Nickel concentrate on exhibiting the unique terroirs of the valley. They make wine properly, they really get it, the place is beautiful, and you may learn a thing or two. Taken inside of Saddleback Cellars.